Small bathrooms are good as space savers, and owners who really planned it that way are happy with their small bathrooms. But these bathrooms often come with a few problems, and one of them is lack of space for storage of toiletries and another is lack of vents for clearing out the exhaust air. Both problems can be solved with a little planning and some renovation based on that. Here is how you can create wonders even in a small bathroom space to make it one of the coziest bathrooms. The window is the outlet for air, and again the inlet for light in a bathroom. Though you may have an exhaust fan and ventilator inside the bathroom, yet the role of a window cannot be surpassed. Hence, the window should be such that it leads to easy flow of air and light. You can do this by using plantation shutters in windows which opens outwards, thus not congesting the space inside the bathroom. These allows in natural light flow and helps stale and stagnant air flow out, and also bring in fresh air. Alternately, you can also use glass panned windows like French windows. These are great for allowing in plenty of natural light, if that is what you need mainly. You can also change the door and window shutters from hinged ones to sliders. Sliding doors and windows are great space savers, and a boon for planning any small space aesthetically and smartly. You need closets and storages inside a bathroom to store and arrange essential toiletries, towels, bathing robes, medicines etc. Space saving closets with smart design are available from stores online and local, who specialize in bathroom fittings. You can definitely get one such bathroom toiletry store with a mirror to arrange things inside in a small space. Your bathroom sink, or wash basin need not be big, but many people have this notion that it must be big. A big basin has a real good role in kitchens for handling storing and washing of utensils and food items but has no such strong role inside a bathroom. Any small sized basin specially designed for small bathroom renovations would do well, and you can also change any old ash basin with this. If you have a tiled wall and floor which are dark colored, you must think about replacing them with white or light-colored tiles or even wall panels. The lighter the tile color in walls and floor, the lighter would play inside, thus making the space look bigger. Small bathrooms need more lighting than bigger ones, reason being that smaller spaces when well-lit looks big and bright. Also, the advantage of having a small bathroom area is that, even a low watt energy saving light would illuminate the insides really good, compared to a bigger bathroom, where owning to the larger space the light would be more scattered and dimmer. This includes the faucets, the shower head, the toilet seat, the cloth hanger etc which all may be large sized and odd fitting as per the space. 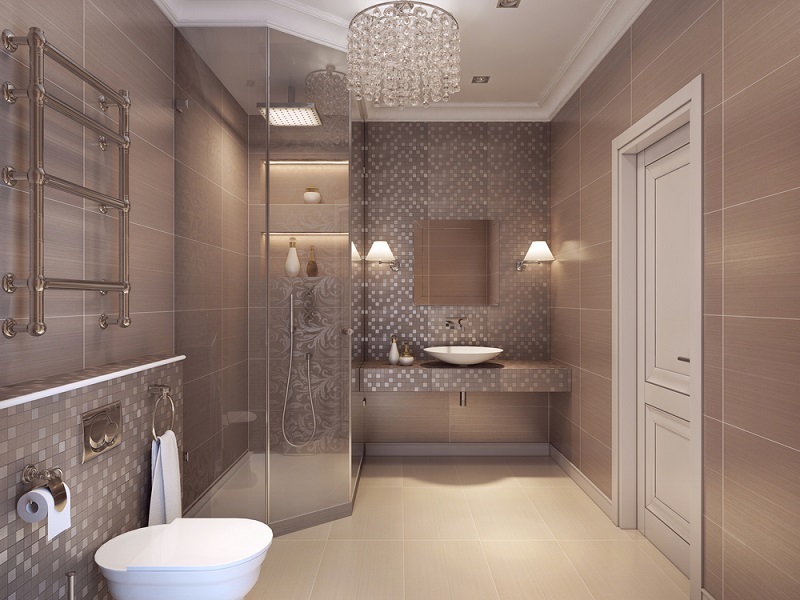 You can change them all and install smaller fittings to make it look good and give the bathroom a spacious appearance. White doors and windows help to scatter lighter than absorbing the rays. This helps to create roomier look inside. 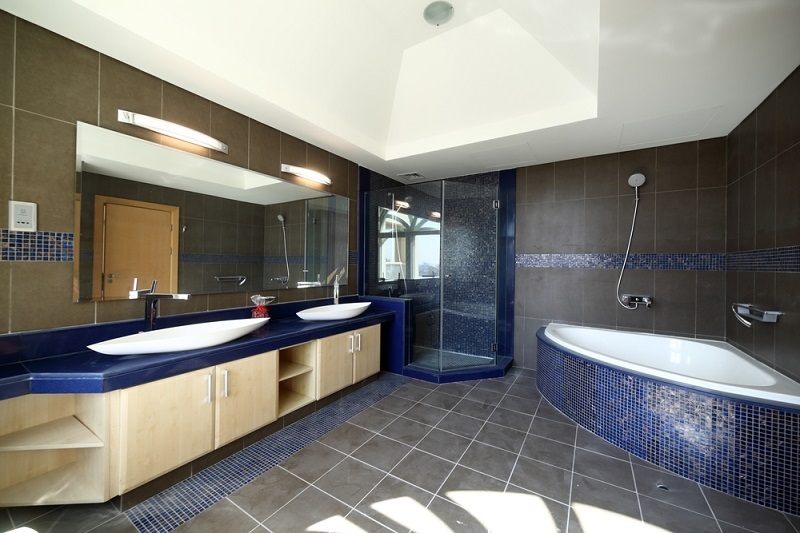 Following the above tips can truly change the look of your small bathroom, and you can do these renovations in a small budget too when you consult a professional bathroom renovation expert.